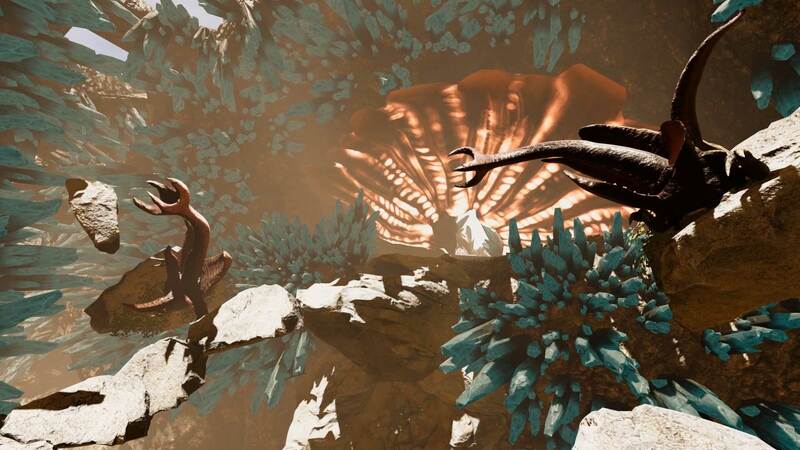 Seeking Dawn is an expansive VR game of action and survival set on a sprawling planet of dangerous creatures and alien mysteries. Stranded with limited resources, you must venture out to scavenge for supplies, craft weapons and equipment for protection, and decipher strange discoveries as you traverse the planet. An extensive sci-fi adventure offering dozens of hours of gameplay, Seeking Dawn combines rich storytelling with gritty combat in both solo and cooperative modes, as well as additional challenge modes for even better loot. Scavenge, craft, build, explore, fight, and most importantly, find a way home. -	FPS combat meets gritty survival in VR. -	Solo and cooperative play with a full, story-rich campaign. -	PvP gameplay with 2 game modes for 4-16 players. -	Extensive character development with intricate skill trees. -	Build your base and install defenses to keep your squad safe. -	Deep crafting system with 50+ tools for combat and survival. -	Explore with full movement including climbing and swimming. In the year 2097, several planets in our system and nearby star systems, including Alpha Centauri, have been colonized by humanity. An entire solar system is in the grips of a corrupt political entity called “The United Federation of Sol” (UFS). The people of this time are violently oppressed and live in fear and despair due to the malicious intent of the UFS. Humanities only hope for freedom lies in the hands of Lt. James Murphy, a newborn of the first settlers of the Alpha Centauri system. Murphy joined what is known as “The Republic of Alpha Centauri” (RAC) at a very young age. His intent was to prove himself in battle during our first attempt at regaining independence. We like to call this our “independence War”. We have lost many battles, and worse yet, many young men and women. RAC is currently on the verge of being completely overrun by the UFS Armada. The war has leaded us here; Donovan Crater. Will we ever see the light at the end of this tunnel?